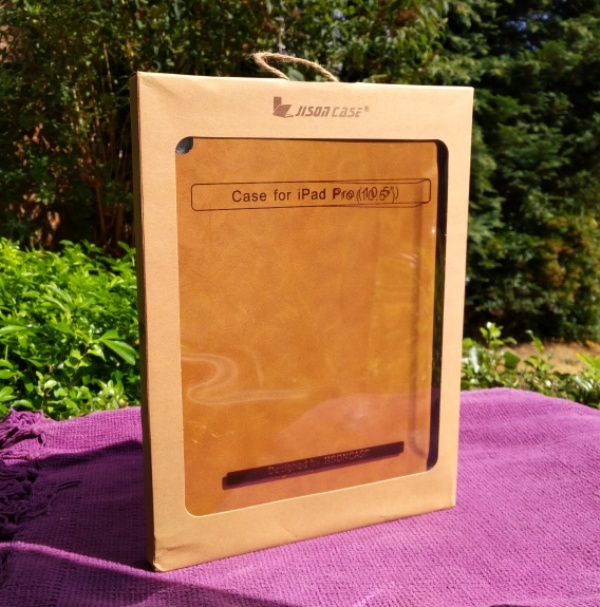 With the purchase of every iPad also starts the purchase of a case which won't be cheap if it's an Apple case because of the Apple tax! 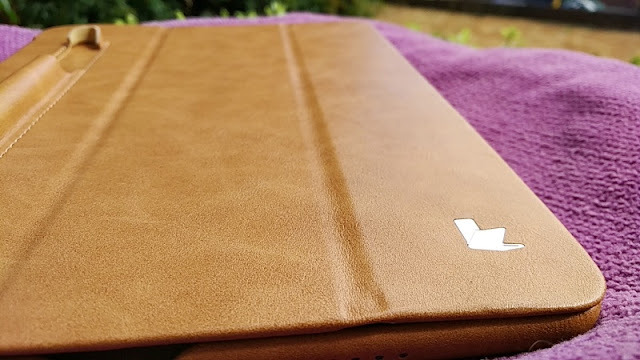 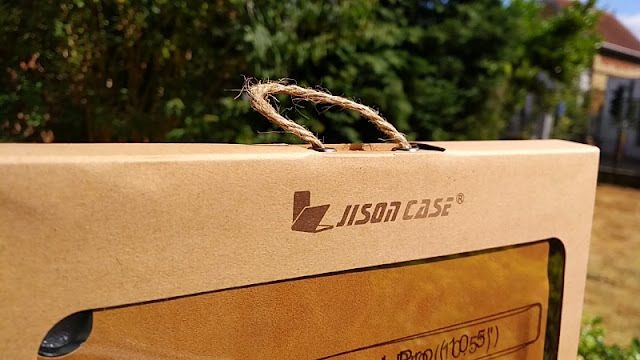 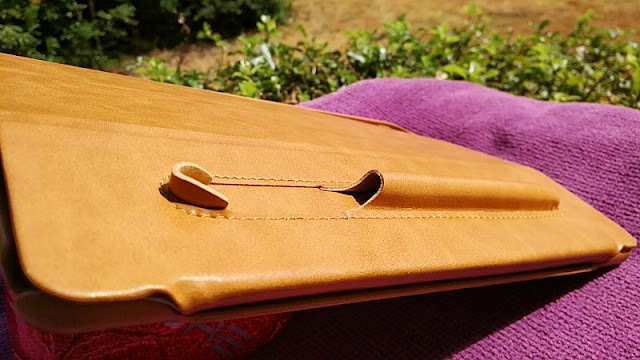 If you own the Apple 10.5-inch iPad Pro but dislike Apple prices for their cases, there are third-party premium alternatives such as the Jisoncase 10.5 inch microfiber leather case which costs a fraction of Apple's leather case. 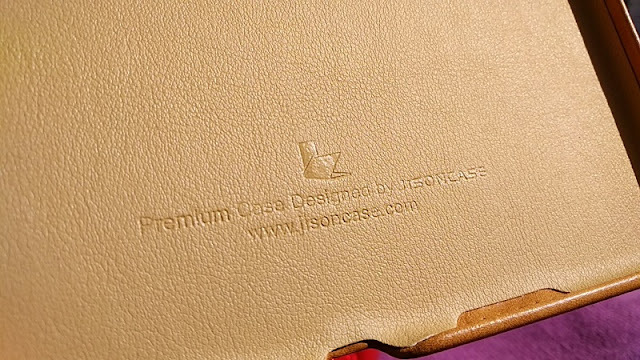 While the Jisoncase iPad Pro 10.5-inch microfiber leather case is made of synthetic artificial leather (also known as leatherette) using synthetic woven fabric coated in PVC, the Jisoncase iPad Pro case is not made with animal by-products; hence no animals were used in the making of the case. 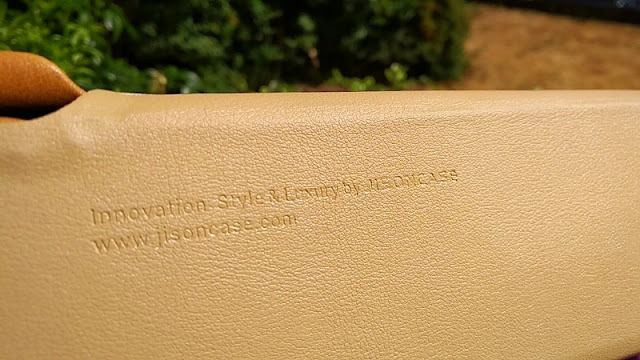 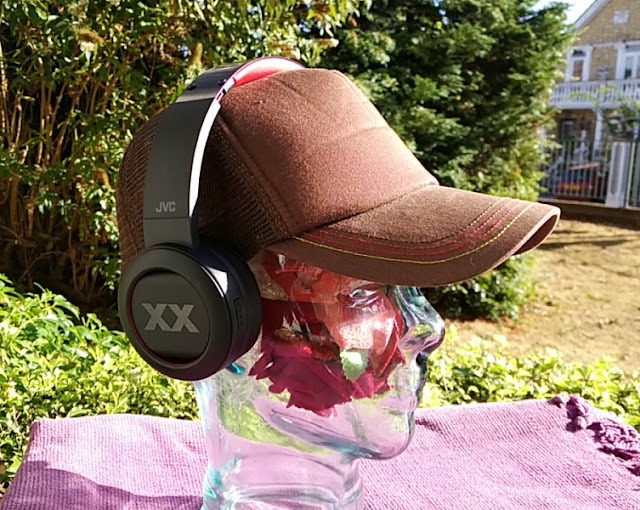 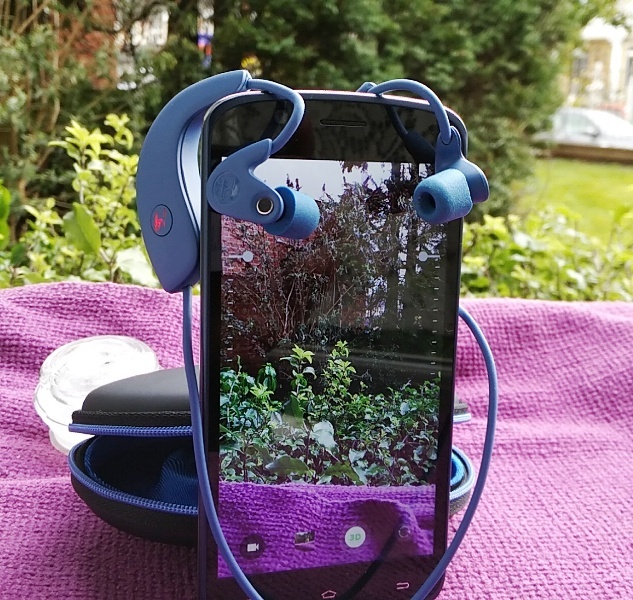 Presumably no animals were harmed either, making the Jisoncase microfiber leather case a good option for those practising ethical consumerism and "dollar voting" against animal cruelty. 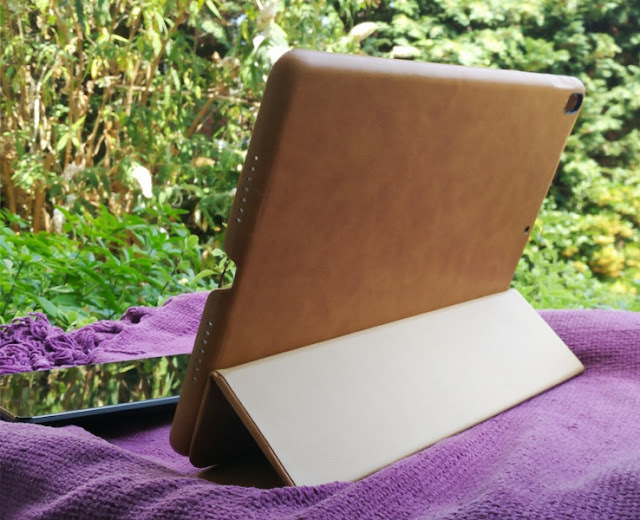 The Jisoncase microfiber leather case fully covers and protects the 10.5-inch iPad Pro and features magnets on the screen cover section which turn on and off automatically sleep and wake your iPad Pro. 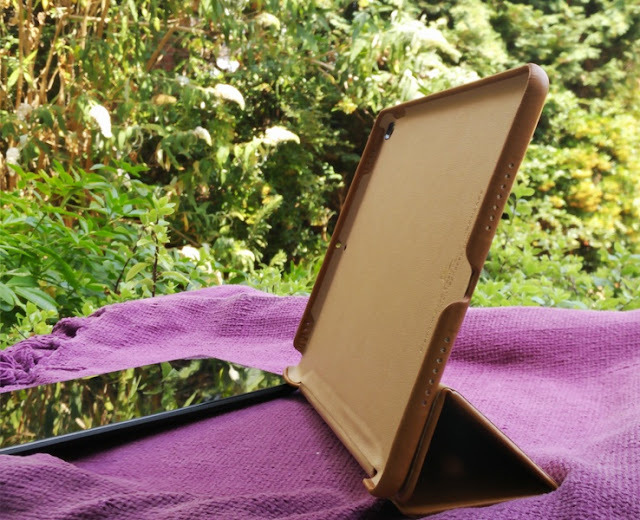 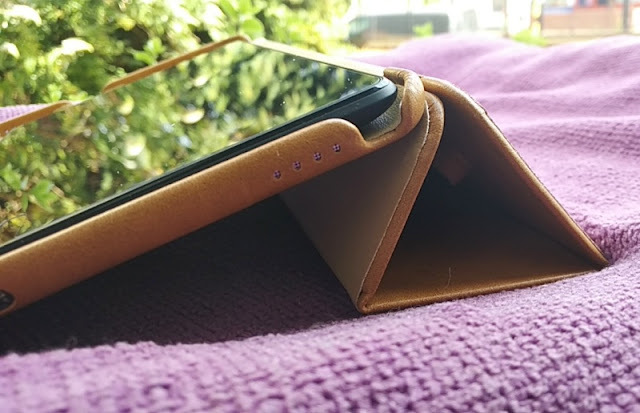 Aside from magnets, the screen cover on the Jisoncase iPad Pro 10.5-inch microfiber leather case folds in place via the magnets, letting you fold the case in desktop mode at 30 degrees angle and stand-up mode at 65 degrees angle. 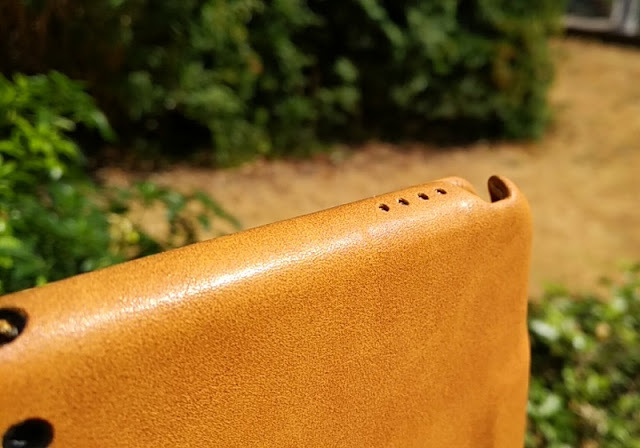 The pencil slot on the Jisoncase iPad Pro 10.5-inch microfiber leather case is built on the exterior front of the screen cover and it's designed to fit an Apple Pencil. 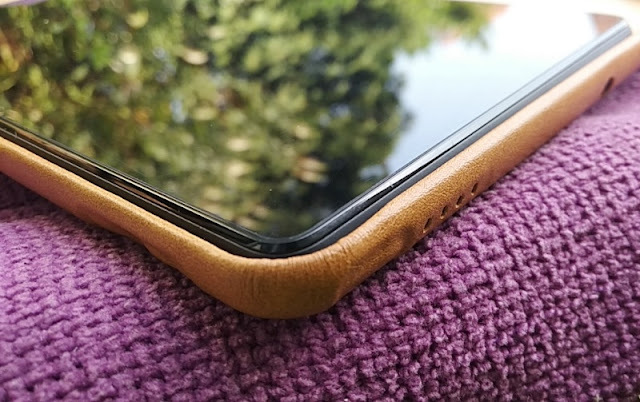 However, you can fit any stylus that is similar in length to the Apple Pencil (175.7 mm long from tip to cap and 8.9 mm diameter). 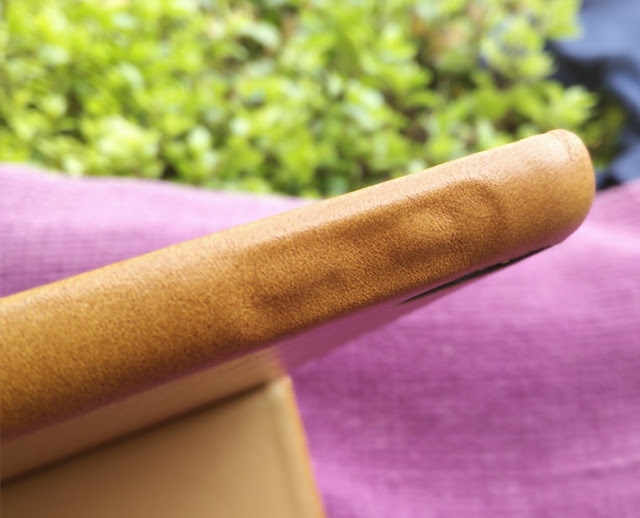 The Adonit Mini 4 stylus has a similar built to the Apple Pencil and works with the iPad Pro. 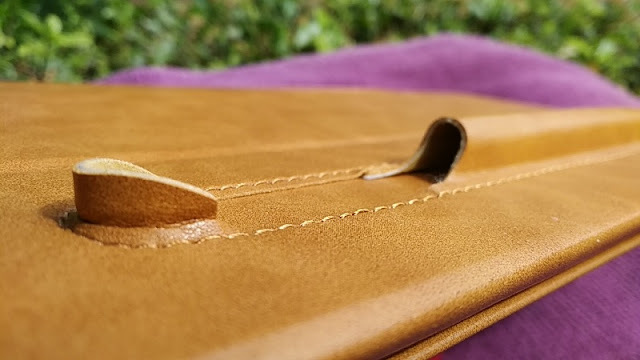 The pencil slot has a top edge designed to keep the cap of the Apple Pencil snug inside the pencil holder so you won't lose the Apple Pencil cap. 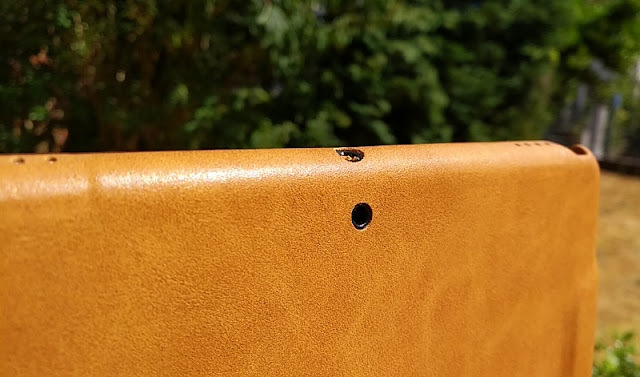 If you do lose the Apple factory pencil cap, you can get a third party replacement. 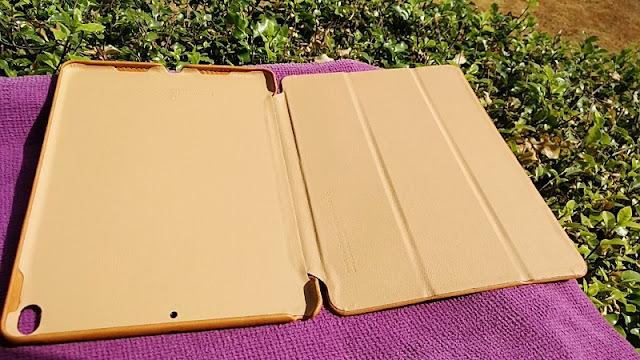 Alternatively, you can buy an Apple Pencil cap replacement through Apple Support or make a technical reservation through the Genius Grove at your local Apple Store. 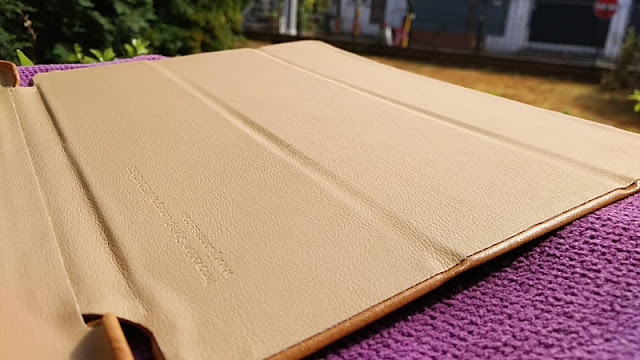 You will need the serial number of your Apple Pencil as the replacement cap will be serial number specific. 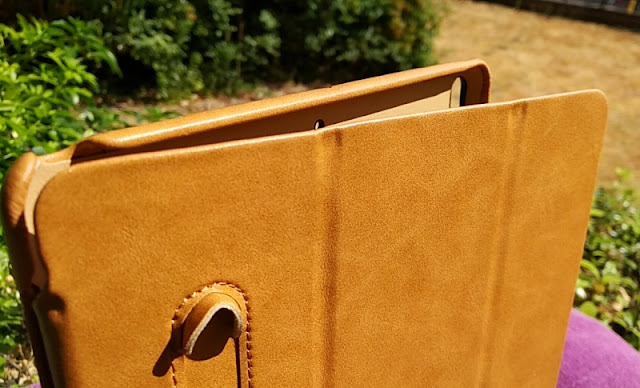 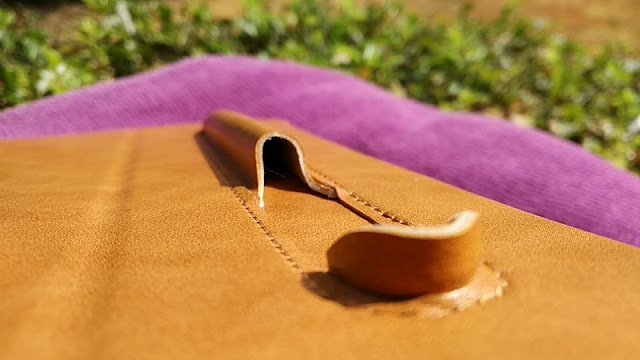 The lining of the Jisoncase iPad Pro cover is made of a lighter brown shade of the exterior synthetic leather. 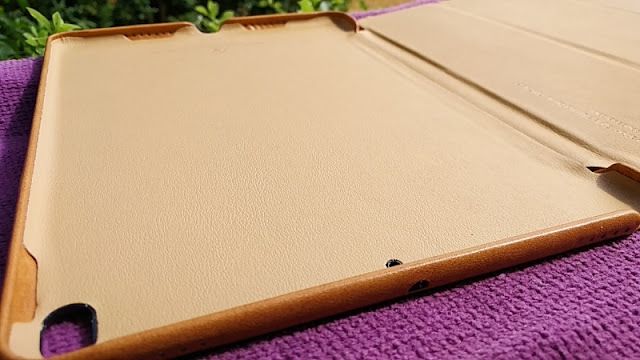 It is soft and smooth and will prevent scratches on the screen and body of the iPad Pro but won't do any fingerprint cleaning of the screen like microfiber suede lining. 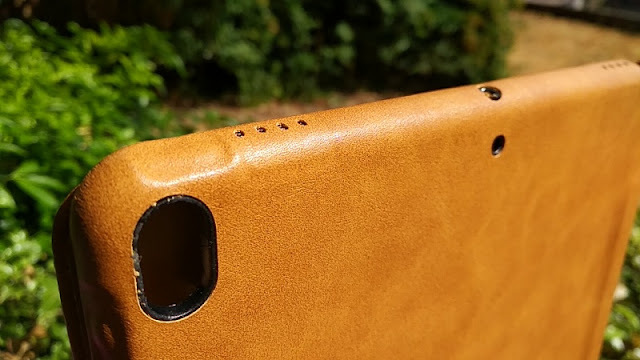 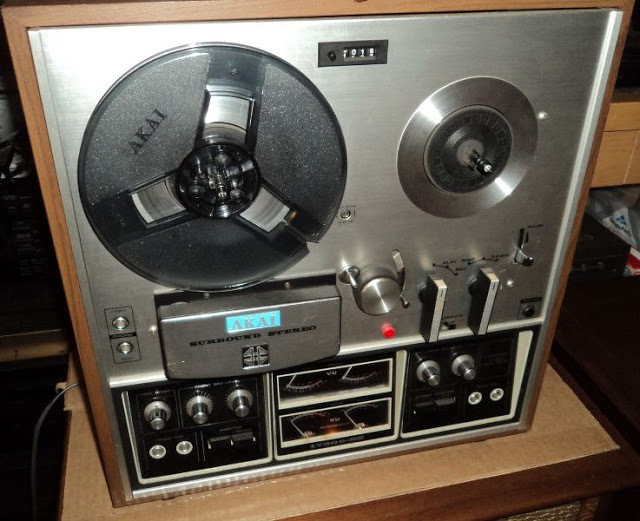 The front and back cover hinges are mold together well. 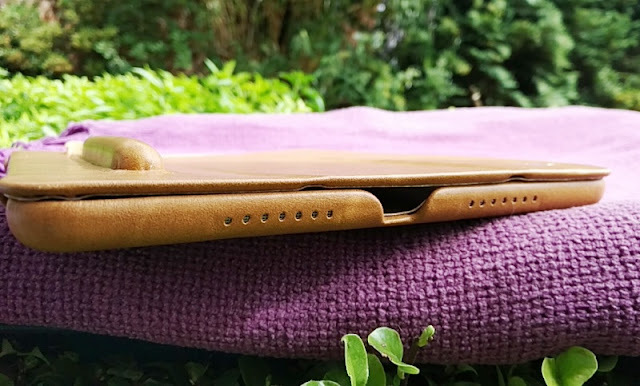 The back cover of the Jisoncase iPad Pro case hold all four corners of the iPad Pro snugly and features openings for the microphone, speakers, headphone jack and charging port, as well as premolds for the volume up and down buttons on the side of the iPad Pro 10.5.